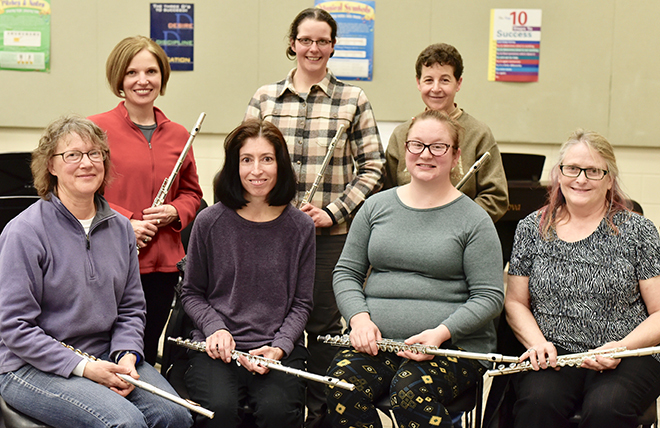 The Byron Civic Band flute section is comprised of (Front Row L-R) Audrey Salberg, Charlotte LeClercq, Sarah Byrnes, Cathy James. (Back Row L-R) Beth Kleinschmidt, Elizabeth Bach, Molly Krecklow. The newly formed Byron Civic Band will have their spring performance on Wednesday, March 27 at 7 p.m. in the Byron Middle School Auditorium. Musicians from surrounding communities will perform a variety of selections including “El Capitan” March, St. Louis Blues, Aladdin, and A Festival Prelude. Ron Kroeger, founder of the Civic Band, will solo perform O mio babbino caro on his alto saxophone. Song selection, Flutation, will feature the flute section, which represents seven different communities in Northern Illinois. The performance is open to the public with a freewill donation accepted. Membership in the Civic Band is presently 35 active participants playing intermediate-level concert band literature. Players of all skill levels on all band instruments are encouraged to join in the fall of 2019. Instrumentalists currently in 8th grade and older are invited to join. Band rehearsals are held at Byron Middle School band room on Wednesday evenings. 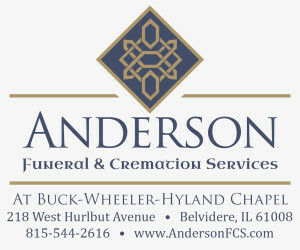 If you are interested in joining this band, please call or text Ron Kroeger at 847-219-9393 or email ronkroeger@gmail.com. Check out and like our Facebook page Civic Band – Byron, IL.